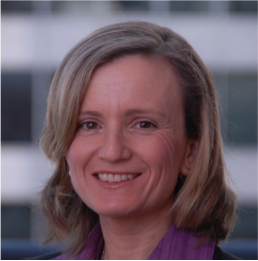 Joanne Wade has been a plaintiff lawyer since her admission to the Supreme Court of NSW in 1996 and has worked in asbestos litigation for well over 18 years. Joanne is an Accredited Specialist in Personal Injury Law and prides herself on her communication with her clients and, on many occasions, her clients’ families. She understands the importance and need to handle all her cases with the utmost diligence and compassion. Joanne has acted for hundreds of people suffering from mesothelioma, lung cancer, asbestosis and asbestos related pleural disease. Her clients are everyday people who have worked hard all their lives and deserve justice. Joanne acted for Steven Dunning in his claim against BHP Billiton Limited in the Dust Diseases Tribunal of NSW (Dunning vBHP Billiton Limited  NSWDDT 3). Mr Dunning suffered from malignant pleural mesothelioma and in a landmark decision; the court awarded Mr Dunning the highest amount for damages for pain and suffering in NSW. Joanne went on to represent Mr Dunning in the Appeal before the NSW Court ofAppeal where BHP’s appeal was unanimously dismissed (BHPBilliton Limited v Dunning  NSWCA 55). Joanne has also successfully acted for the late Bevan McGrath in his claim against Allianz Australia Insurance Limited, for his condition of asbestos related pleural disease and ensured that case was resolved on a provisional damages basis. Mr McGrath went on to develop mesothelioma, one of only a small number of cases where he then brought a second claim for further damages because his first claim was resolved on a provisional basis. Joanne successfully acted for Mr McGrath in both his claims and the late Mr McGrath successfully received further damages in a judgment by the court (McGrath v Allianz AustraliaInsurance Limited  NSWDDT). The judgement was upheld on appeal (Allianz Australia Insurance Limited v McGrath NSWCA 153).